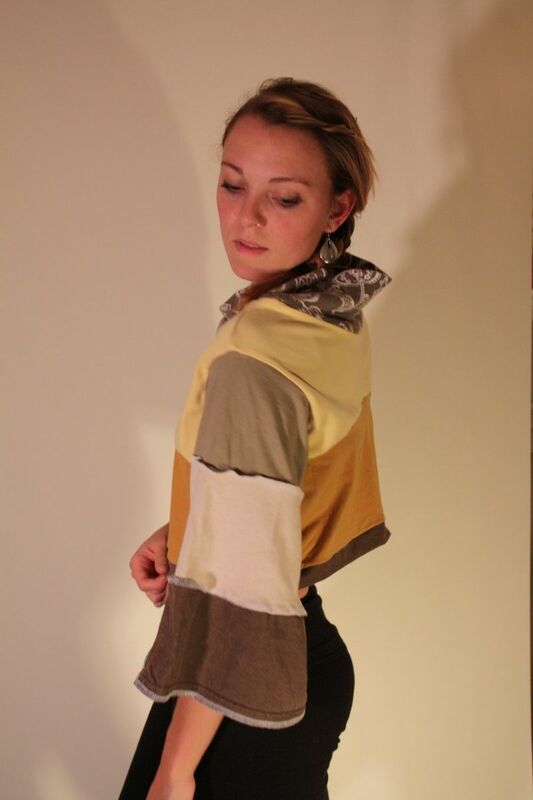 Add some bright sunshiney goodness to your wardobe this winter with this eco pullover top! It is made from thick upcycled cottons and falls just at the middle of the ribs ribs for a cropped length. Three-quarter length bell sleeves add a bit of flair and the double layer cowl neck makes it a great top for cozying up! perfect for lounging around the house or as a cozy coverup. one size fits most small, medium, sized bodies as it is a relaxed fit and quite stretchy. message me if you are curious about specific measurements. like what you see but want a different size/color? contact me and I'd be happy to work something out for you!